Ticor Title was looking for two summer themed promotional giveaways. They wanted to do something fun and different that their clients had never seen before. 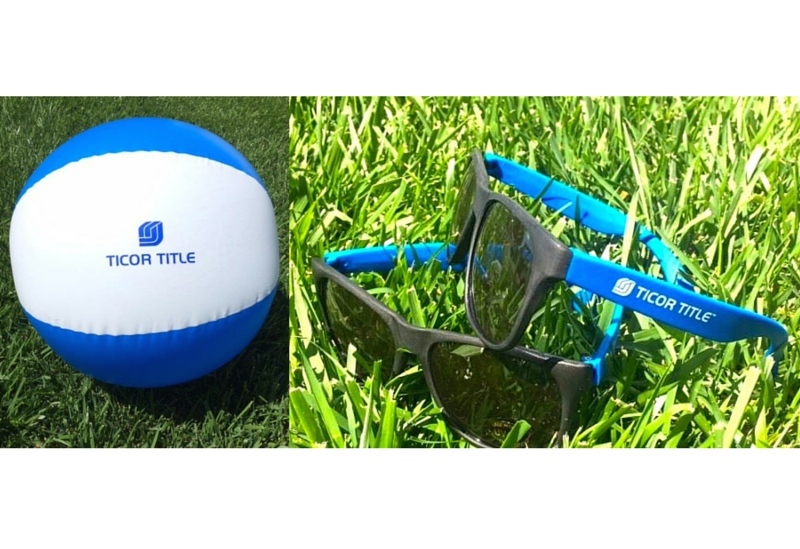 We suggested a blow-up beach ball and custom colored sunglasses to match the color of the Ticor Title logo, as well as a Telescopic Dust Wand. 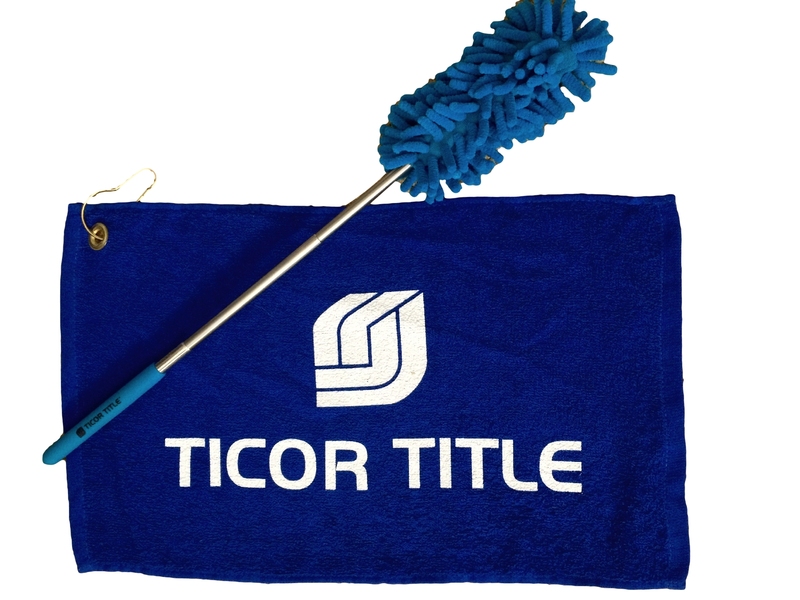 Ticor Title was very satisfied with the products we provided! "Wearable Imaging is super dependable and I can rely on them for anything... even a crazy rush that I would never expect to be fulfilled anywhere else. They always have great ideas, are very friendly and willing to help with anything. They always have the best attitude. It makes my job easier working with them! Thank you Robin. You are the best!"